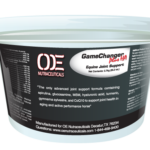 OE Gamechanger is a comprehensive joint health formula that supports healthy joints and flexibility. 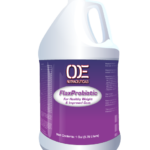 Gamechanger contains a blue, green algae that is a natural antioxidant that has powerful free radical scavenging properties and that supports the body’s normal defense again the harmful effects of free radicals. 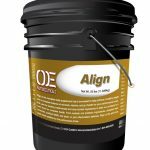 This blue , green algae is used to assist the horse’s natural inflammatory defense response. 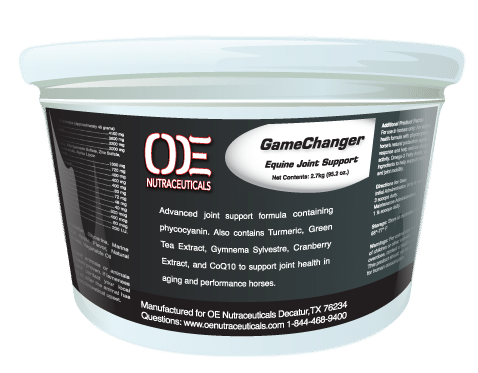 Gamechanger is a natural alternative to pharmaceutical cox 2 inhibitors such as bute or equioxx. 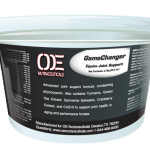 OE Gamechanger is a comprehensive joint health formula that supports healthy joints and flexibility.